Thank you Lord and Taylor for allowing me to choose this adorable outfit, and for sponsoring todays post. As always, all opinions are my own. Happy Wednesday, friends! Today is one of my favorite sales of the year, the Lord & Taylor Friends and Family sale!! Now is the time to grab some of your favorites for spring and summer for a great deal! 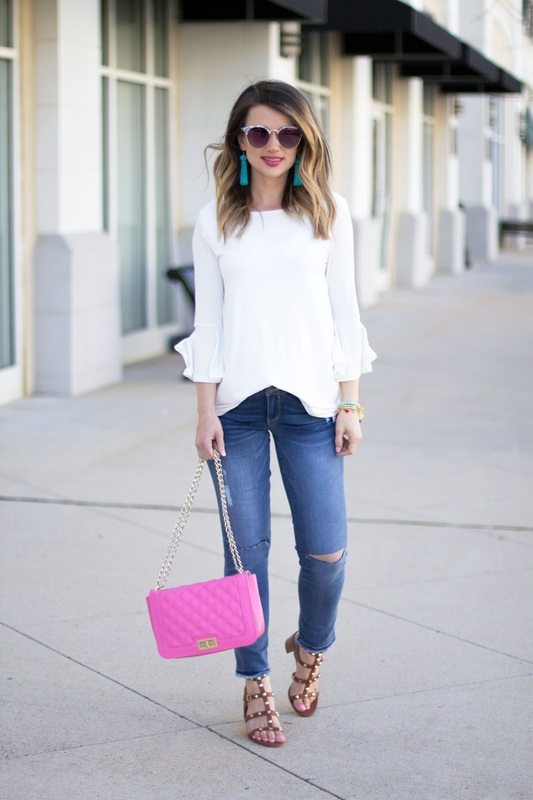 This bell sleeve top for instance, is a wardrobe staple. 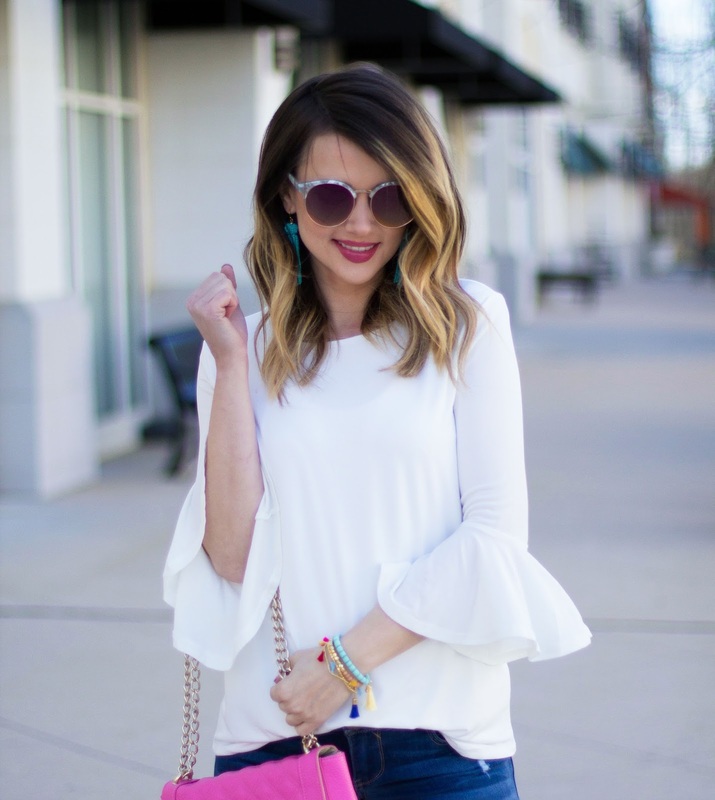 It can be worn dressed up or down, and the sleeves give it that little extra flare. The best part? It’s currently on sale for under $30 with code FRIENDS at checkout! 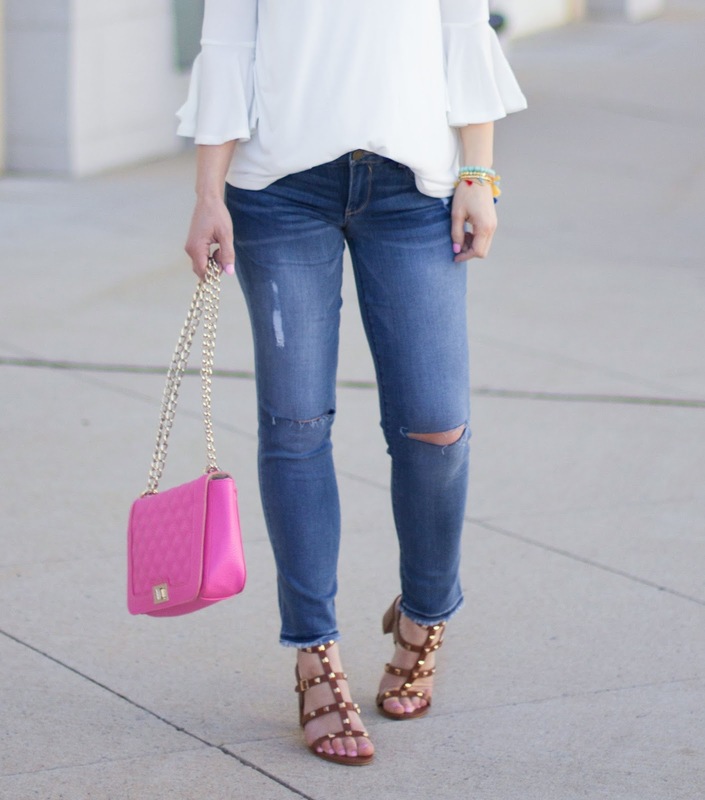 I paired it with these perfect distressed denim with un-hemmed ankle, these adorable studded sandals, and a pink bag for a pop of color. Almost everything I’m wearing is apart of the sale, and you won’t believe the prices! See HERE for exclusions. Oh, and make sure to stop by the shoe section! I’m currently stocking up on summer shoes, and it feels so good to get my favorites for such a great deal. For instance these espadrille wedges need to be in my life like yesterday! Am I right? I hope you all are having a great week! Happy Shopping!